Spent an evening a while back seeing what I could capture with my Canon EOS XSi camera through a zoom lens I bought with it: a Canon 55-250mm F4-5.6. I setup my CI-700 mount with a Celestron C7 scope and mounted the camera to the scope. 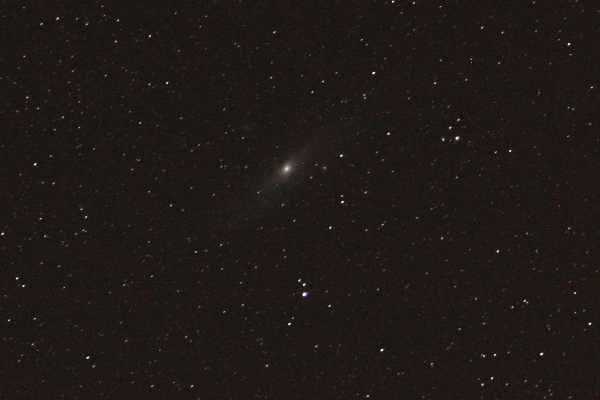 I just let the mount track without guiding and took various exposures at different focal length settings. 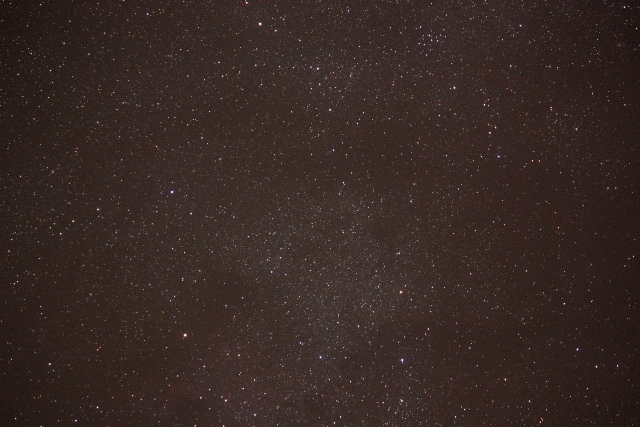 Lyra was fairly low to the west so I zoomed the lens to about 180mm and pointed it to cover beta and gamma Lyrae. Exposures where taken at 20, 30, 60, 90 and 120 seconds. The mount was very roughly aligned and I generally setup on my back deck. The deck is fairly sturdy (as the previous owner had a large hot tub on it!) but it’s certainly subject to vibration. So with this setup, there is a lot of motion blurring at 60 seconds and above. But quite a few stars are visible at 20 seconds, and 30 seconds seems to provide the best balance between intensity and sharpness. 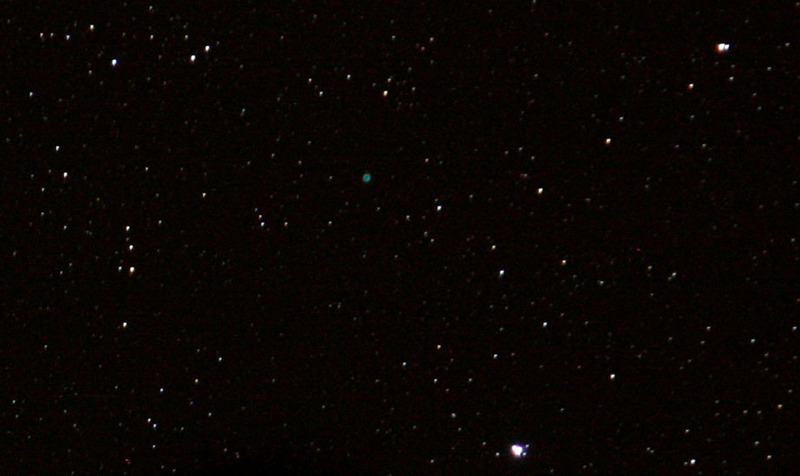 Even reduced about 5 fold, one can make out a bluish-green object roughly along the line between the 2 brightest stars (β and γ Lyrae), a bit below the mid-point. This is M57 or the Ring Nebula. 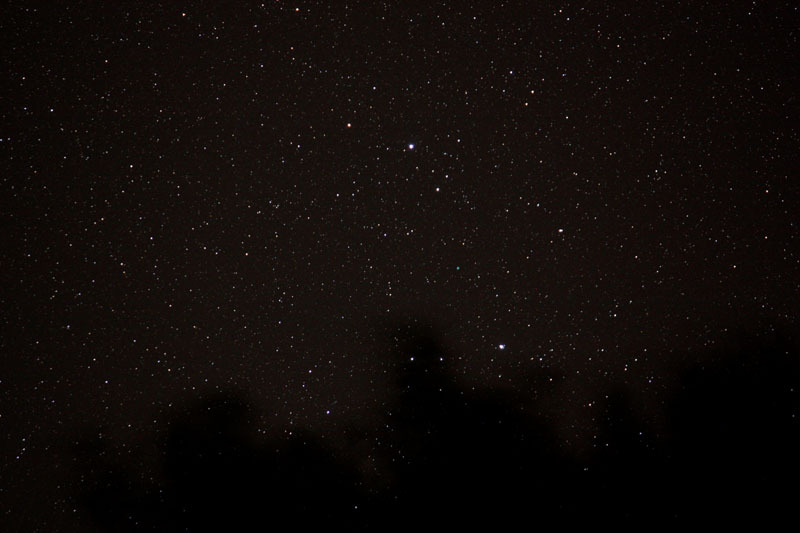 The stars show a fair amount of streaking, but I was quite surprised at the sensitivity. I need to get a decent star atlas but it seems that stars are visible well below mag 12. I figure if I can pick up the Ring Nebula through a camera lens in 20-30 seconds, I should be able to use this setup to pick up other objects in the Messier catalog! Though maybe a somewhat larger lens would help.